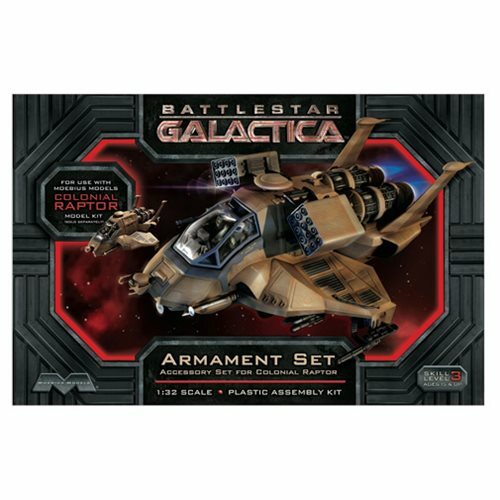 If you're a big fan of Battlestar Galactica then you need the Battlestar Galactica Raptor Armament 1:32 Scale Model Kit for your collection. With this 1:32 scale kit, you can build and show off one of the show's most recognizable spacecrafts. Glue and paint required, not included. Skill Level 3.